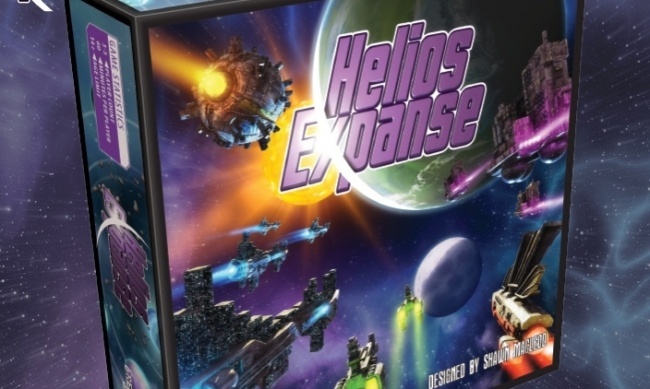 Helios Expanse, the one-hour 4X-style board game from Greenbrier Games, will release in March. 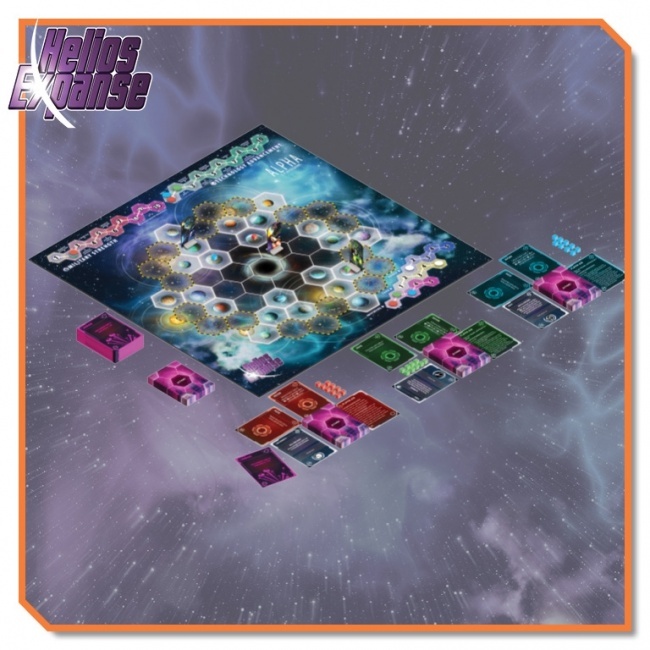 In Helios Expanse, humanity has left the cradle of the Sol System to seek new homes among the stars, but they take with them their long-standing feuds, leading them to ever-greater conflicts with each other as they explore, expand, exploit, and ultimately exterminate their competitors. The game uses a programmed action mechanic, with all players using cards to plan out their actions ahead of time. The cards are then revealed and resolved, one at a time. Player actions include moving their ships, colonizing planets, developing technology, and building up their military forces. In the end, the player who can control the most planets wins the game. 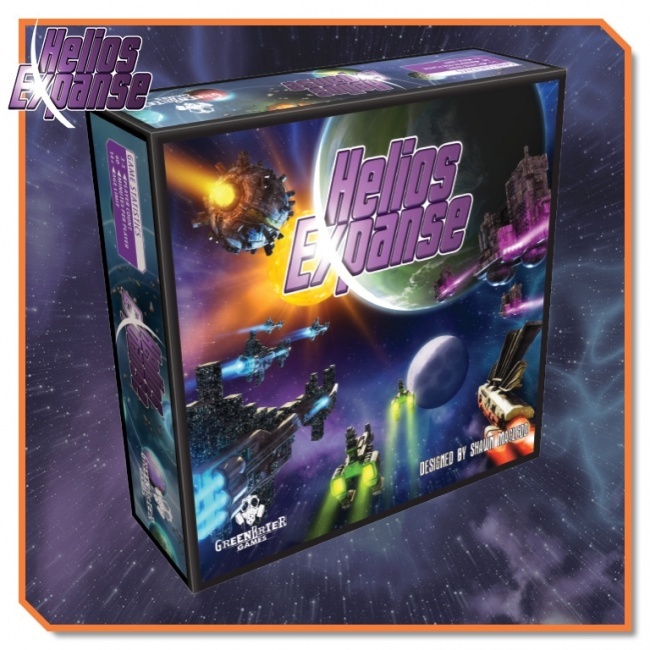 Helios Expanse comes with a double-sided game board, 105 cards, 50 cubes, 8 tokens, 5 standees, and 17 discs. The game was created by Shawn Macleod (Spirits of the Rice Paddy: Dino Rush). It is intended for 3 to 5 players, ages 14 and up, and takes about an hour to play. MSRP is $49.95. Greenbrier announced the game earlier this year along with two other projects (see “Rowdy Bear Battles, Cosmic Conflicts, and Mr. Rhee”). In April, the company ran an abbreviated eight-day Kickstarter campaign to raise funding for the project, attracting $6,422 in pledges from 147 backers, enough to exceed the project’s modest $5,000 goal.